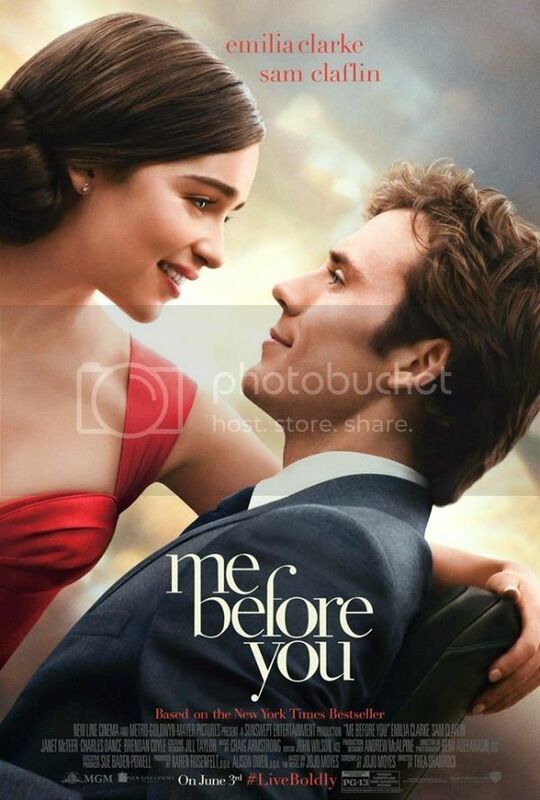 Based on the critically acclaimed, bestselling novel by Jojo Moyes, New Line Cinema’s and Metro-Goldwyn-Mayer Pictures’ Me Before You stars Emilia Clarke (Game of Thrones) and Sam Claflin (The Hunger Games series), under the direction of Thea Sharrock, making her feature film directorial debut. The film also stars Charles Dance (The Imitation Game), Jenna Coleman (Dr. Who), Matthew Lewis (the Harry Potter films), Vanessa Kirby (About Time), Stephen Peacocke (Hercules), Brendan Coyle (Downton Abbey) and Oscar nominee Janet McTeer (Albert Nobbs, Tumbleweeds). 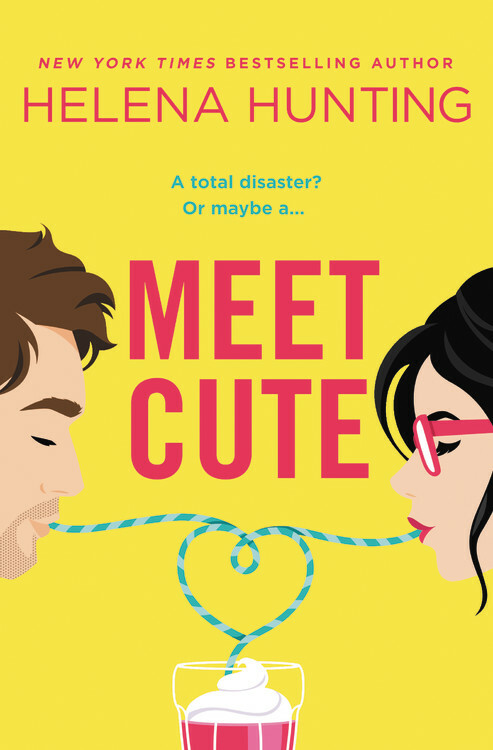 Sharrock directs from a screenplay by Jojo Moyes and Scott Neustadter & Michael H. Weber (The Fault in Our Stars), based on the book by Moyes. The film is being produced by Karen Rosenfelt (The Twilight Saga films, upcoming Max) and Alison Owen (Saving Mr. Banks, upcoming Suffragette), and executive produced by Sue Baden-Powell (Elysium, upcoming Pride and Prejudice and Zombies). The behind-the-scenes creative team includes Oscar-nominated director of photography Remi Adefarasin (Elizabeth), production designer Andrew McAlpine (An Education), editor John Wilson (Downton Abbey) and costume designer Jill Taylor (My Week with Marilyn). 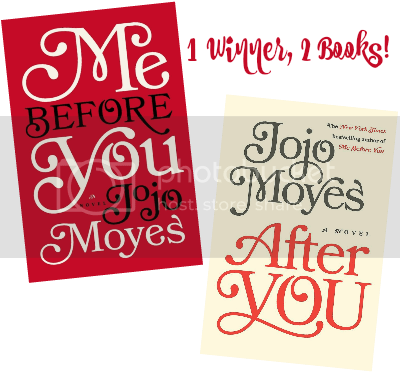 Me Before You is a presentation of New Line Cinema and Metro-Goldwyn-Mayer Pictures. Set for release on June 3, 2016, it will be distributed by Warner Bros. Pictures, a Warner Bros. Entertainment company, and Metro-Goldwyn-Mayer Pictures. So now is the perfect time to read the books and the lovely people at Penguin Random House have offered a copy of each to one lucky winner! Good luck! How excited are you for this movie? I am so excited for the movie! I love the trailer! I need to read this one still, but it’s on my TBR! I have seen that trailer about five times and I have cried each time. I love it and I can’t wait! OMG I’ve seen photos all over Instagram! I’m not watching the trailer because I want to read the book first – so excited. As soon as I get paid I’m buying it :) I love a good cry-fest. You need to read it soon! !